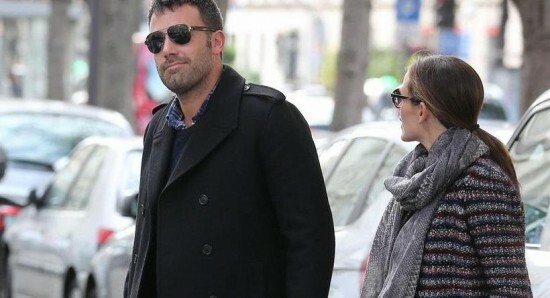 There have been a lot of rumours about the marriage of Ben Affleck and Jennifer Garner for a very long time now, with some people suggesting that the couple have been living separately for the past 10 months, as they prepare to bring their marriage to an end. Well, this week the rumours became reality, as Ben and Jennifer announced that they were getting a divorce after 10 years of marriage together. While there has been speculation as to why the couple decided to bring their marriage to an end, it has been claimed that Jennifer Garner became frustrated by the friendship of Ben Affleck and Jennifer Lopez. According to the rumours, Ben Affleck and Jennifer Lopez have been getting increasingly close since the Oscars this year, which has made Jennifer Garner uneasy about their marriage. The timing of the announcement of the Ben Affleck and Jennifer Garner divorce plans was quite surprising, considering it was their 10 year anniversary just one day before. It will be interesting to see whether anything does develop between Ben Affleck and Jennifer Lopez or whether any of them address these rumours any time in the near future. Meanwhile, there has been a lot of speculation about the relationship between Jennifer Lopez and her ex-boyfriend Casper Smart, with many claiming that the two are getting back together. While they have been seen together on many occasions recently, Casper recently admitted that the two of them were just having fun. Do you think it is fair to blame Jennifer Lopez for the divorce of Jennifer Garner and Ben Affleck? Ben Affleck and Jennifer Garner to work on new movie together?